You have arrived at this web site because you have heard about EVP, recording the voices of the departed and listening back to them. You may have seen TV programmes such as 'Ghost Hunters International' which use hand held recorders and place them in suspected haunted locations in the hope of recording communications from the deceased. I have yet to watch any programme which studies the subject of EVP with anything other than a passing reference to study. I am not personally interested in listening to any recordings made by unknown people of so called ghost voices where they simply place a recorder in a room in the hope they can hear clear words being spoken on that recording. I want to know a lot more than that. 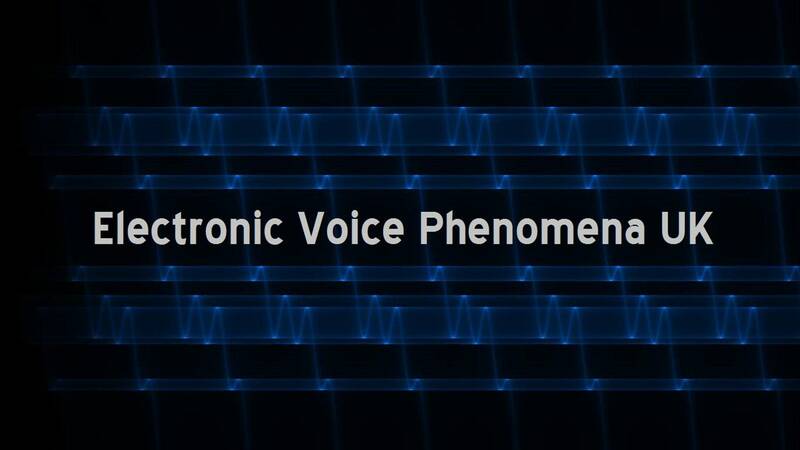 Electronic Voice Phenomena (EVP) is not a new phenomena. As a recording and live playing musician of over thirty years I have experienced EVP throughout this time, unknown sound sources (noise)' are a problem for every recording engineer. For many years my main task was to get rid of this 'noise', I even developed software to help my daily task of isolating and eradicating this so called noise. What I could never understand was why this noise appeared in the first place, I could never hear it whilst recording but it was there after the recording was played back. The brain is clever enough to either determine what a sound is or to give you a close match. An example of that; Your sat at home and you hear a motor vehicle which you 'think' is a motor car. You look through the window and notice it's actually a motorcycle. So just keep in the back of your mind that just because the noise you hear sounds like a voice does not mean a mouth is making it. My first point that is based on fact - EVP does exist. I have experienced EVP but I don't know what causes it, the hows and the whys. As a young man I studied and graduated in Science and Physics before I moved into my main interest of music. With EVP I will do what many appear not to do - firstly study by careful research and then try and understand the phenomena of EVP from a scientific point of view. My intention is not to convince anyone EVP is Paranormal or for that matter convince anyone that it isn't. For me, using the word VOICE in the title to describe the phenomena was a mistake. I have heard EVP recordings of sounds other than voices such as foot steps, clocks, trains and bangs. A simple change from VOICE to NOISE would of been better. Maybe the reason the word voice was used was to ensure it fitted in with the Paranormal label?. But for now I will continue to use the abbreviation EVP. This web site is formulated and structured in chapters. Anyone new to EVP will be able to use and get an understanding of EVP, and if they so wish find out how to research EVP. 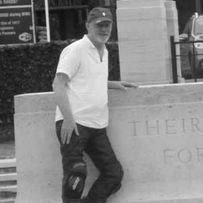 I will be building a data base of facts and information that will help you to understand many aspects of EVP and to help those who are more experienced with EVP to understand sound. You are able to download research packs to enable you to record in writing important information such as size of room, temperature, room materials etc. I STRONGLY advise that you read through each chapter in turn and resist the temptation of jumping to the parts you want to read. If your serious about the STUDY of EVP you are going to need to understand what your hearing and how to get the best out of your recordings and if you do record something of importance, how to prove it. This web site will serve as a database for study as well as a resource for help and advice on method, equipment and improvements to the research and understanding of EVP. You will find it an excellent resource portal for information on a range of equipment that will help any serious investigator with their research and evidence gathering. I am happy to hear from like minded people who share the same research beliefs or wish to broaden their knowledge. CLICK HERE FOR HELP & SUPPORT FOR PARANORMAL PROBLEMS. Visit Our Brand New Web Site Paranormal Investigation UK by Clicking The Link Below! NEW THINGS: We have now developed and using a Kinetic Motion Tracking System and the device will be used by our sister group 'Paranormal Investigation UK' throughout 2018. Click on this link to see what this technology is all about. Click Here To Visit Library & Download Free Paranormal PDF Books.